I don't bake too often and when I do it is usually something I whip up from a box mix. 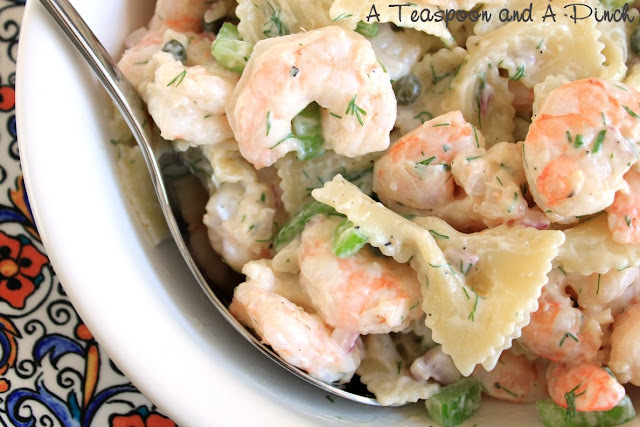 However, we had lots of apples left around the house and I was in the mood for something different. 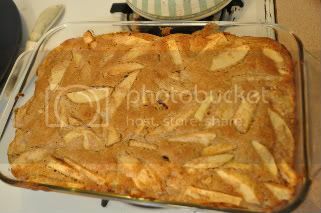 I flipped through some cookbooks and came across this delicious sounding After-School Apple Cake in my FamilyFun Cookbook. 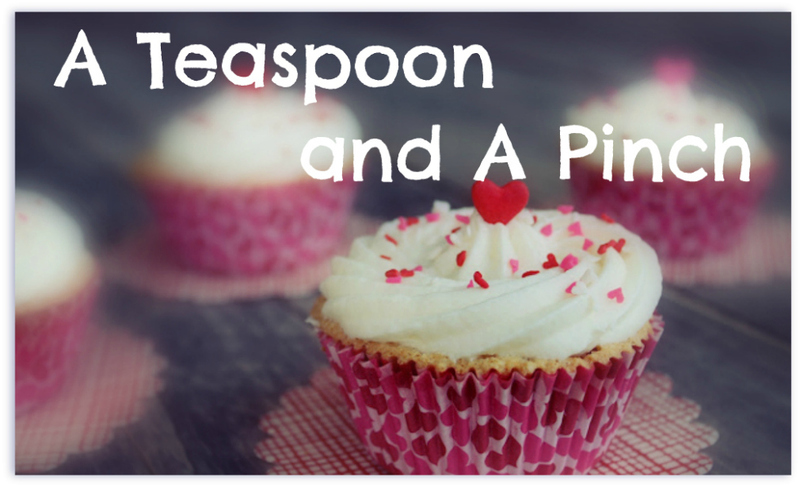 I found out it was so bad to bake from scratch and the result was a yummilicious treat. And as a bonus I managed to snag some good pics as I went! 1. Preheat the oven to 350 degrees. Grease and flour a 13x9x2 inch baking pan. 2. Peel, core, and slice the apples, set them in a large bowl. 3. 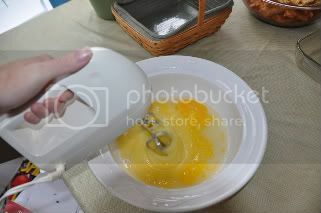 In the bowl of an electric mixer, blend the oil, eggs, and sugar. 4. 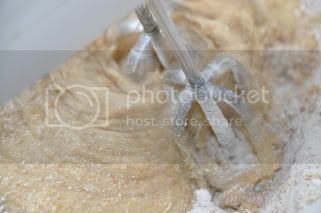 Add the baking powder, flour, and wheat flour and blend until combined. 5. 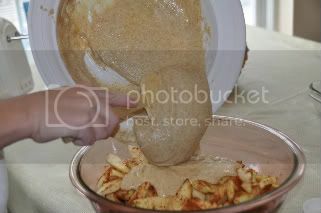 Pour the batter over the apples, gently stirring until the apples are just coated. 6. 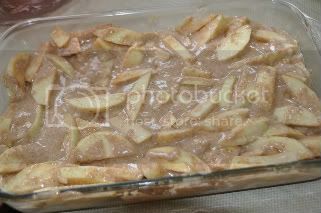 Pour this mix into the prepared baking pan, arranging the apples in an even layer. 7. 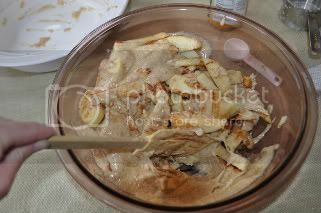 Bake for 35-45 minutes, or until a knife inserted in the center comes out clean. 8. 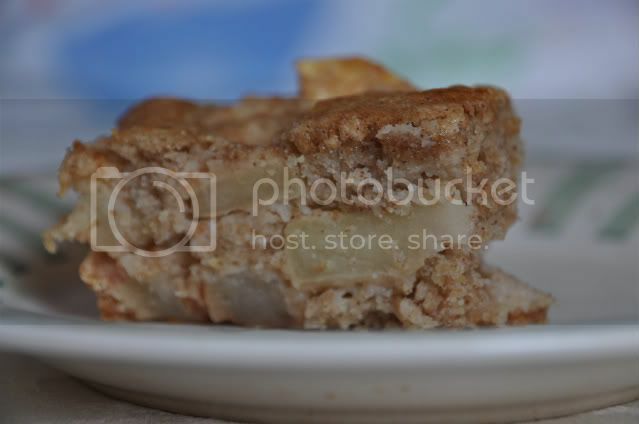 When the cake is cook, cut into small squares. Makes 16-18 pieces.